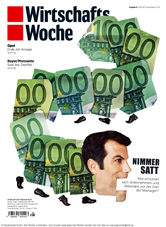 Wirtschaftswoche is a German weekly business news magazine published in Germany. “Wirtschaft” means economy (including business) and “Woche” is week. The magazine provides business- and economy-related news. Its target audience is managers and business people. 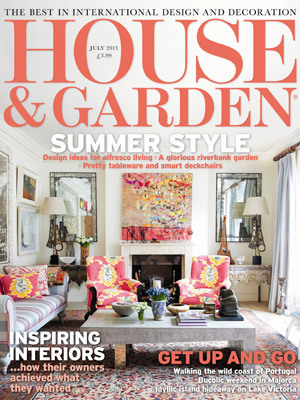 House & Garden has, for 67 years, set the gold standard in design and decoration for the home. Where House & Garden leads, other home interest titles follow. House & Garden covers “the well-lived life”. As well as covering the most beautiful homes and gardens, House & Garden extensively features travel, wine & food, lifestyle and shopping. 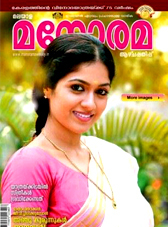 Vanitha is the fortnightly women’s magazine from Malayala Manorama group. To millions of Malayali women, Vanitha has successfully captured the essence of Kerala’s articulate woman of today. As mother, wife, home maker and career woman, Vanitha has come a long way along with her. A mirror of her achievements in all walks of life, Vanitha is published in Hindi as well. Vanitha has launched its international edition in April 2016 which covers entire GCC and other markets such as Malaysia, Singapore,UK, USA. International edition offers mix content from Indian and oversea market and opens new doors for International advertisers to reach their target sector. Malayala Manorama Weekly - The leisure and entertainment weekly. The largest selling weekly in India has successfully captured the imagination of its readers by its fast paced novels with intriguing plots and memorable real to life characters. A must have in most Malayali homes for leisurely and light reading. 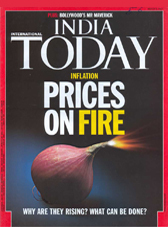 India Today English, launched in December 1975 with a print order of 5,000 copies. 31 years on, India Today is the most widely read magazine in the country with titles in English as well as several Indian languages. India Today English, the flagship brand, delivers quality to readers across the nation at one of the lowest cost per contact, thus making it a preferred print media choice. India Today is a weekly newsmagazine that is published in six languages – English, Hindi, Tamil, Telugu, Malayalam and Bengali – collectively called the Megabrand. With a readershipof 51.69 lakhs - (NRS 06) and a circulation that has just crossed 5,85,000 copies, India Today English is the largest English Magazine in the country. India Today English reaches out to 19% of the total readers of any English publication in the country. Readers of Nikkei Business are the very people who keep the wheels of Japan’s economy turning, and this shows in the highest paid circulation of any Japanese business magazine. The readers place such faith in us that close to 80% never miss out on reading an issue. The depth of our analyses on important news matters, our focus on the latest business trends, our ability to pinpoint what is truly vital have all contributed to making Nikkei Business into the one indispensable publication for the business community and opinion leaders.